Bottas Beard - No More Mr. Nice Guy! F1 Insider Exclusive Interview. Home Formula 1 Valtteri Bottas – No More Mr. Nice Guy! Valtteri Bottas – No More Mr. Nice Guy! The Mercedes driver doesn’t want to be number two anymore. We had a special appointment with Mercedes driver Valtteri Bottas (29) at the tracks in Barcelona, sitting in a conference room on the first floor of the Mercedes motorhome. 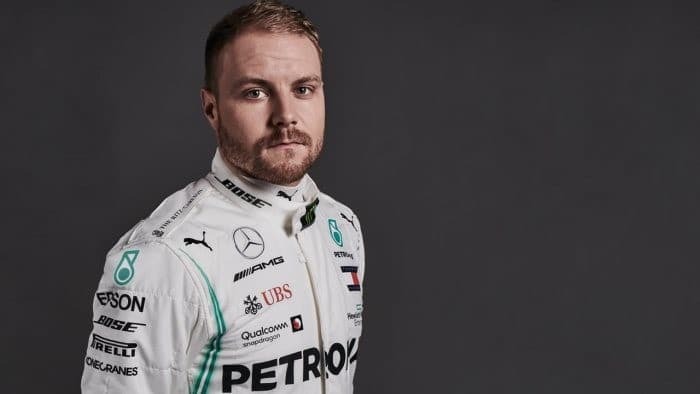 Right from the start it’s clear: this is not the Bottas we are all familiar with from previous seasons. He now wears a beard and his body language is different. He bends his upper body forward and leans on the table – not a defensive reaction but a sign of aggressiveness. His gaze is firm and straight into your eyes. He never looks away, as insecure people often do. Bottas does everything to demonstrate: I’m not a nice boy anymore. I am a warrior now. A fierce viking, not a sissy. “A new Valtteri” he replies. During the winter months not only his beard grew but also his anger. A distinct anger about himself, his past races, and actually about everything. Bottas: “I was gutted and angry at the end of last year, especially about the second half of the season, so that I swore to myself: This is never going to happen again! To achieve my goals this year I am ready to do what is necessary, and if I have to work harder in some areas, that’s part of it. Bottas wants to be more of a lone worrier and less of a team player. So was he too nice in the past? This also means he will no longer present victories to his teammate on a silver platter as he did in Sochi in 2018. Bottas has already told his boss and Team Principal Toto Wolff. And Wolff knows that this season he has a hungry lion in his cage. There even seems to be a simple solution to his sheer contracting message, to remain a team player but be a lone fighter at the same time: Lewis Hamilton scores second place behind Bottas. “Exactly!” he grins. For now, the Viking in Bottas will have to wait a bit longer until the season starts in Melbourne. He has still been holding back at the tests. He still gets used to working with two new engineers.